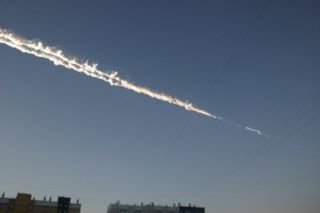 In the wake of last month's meteor strike in Russia and a close asteroid flyby on the same day, members of Congress asked NASA, White House and Air Force officials what they're doing to combat the threat of near-Earth asteroids during a hearing today (March 19) on Capitol Hill. In 2005, Congress directed NASA to detect, track and characterize 90 percent of these space rocks —those near-Earth asteroids larger than 459 feet feet (140 m). The space agency's chief, Charles Bolden, said today that NASA was unlikely to meet that deadline given its current budget. "Our estimate right now is at the present budget levels it will be 2030 before we're able to reach the 90 percent level as prescribed by Congress," Bolden said. This story was updated at 4:56 p.m. ET to correct the size of large near-Earth asteroids (459 feet, or about 140 meters) NASA seeks to identify under its 2005 congressional mandate. Follow Clara Moskowitz on Twitterand Google+. Follow us @Spacedotcom, Facebook and Google+. Original article on SPACE.com.